The adventure begins.... Zelia Lor's life changes when alien Necrons attack her home planet and tear it apart! Separated from her mother, Zelia must escape the doomed world, her only hope a scrambled transmission promising safety at a mysterious place known only as the Emperor's Seat. She is joined by a ragtag group of survivors: the street-tough Talen, gadget-obsessed Martian boy Mekki and superintelligent alien-ape Fleapit. He’s often been called the father of science fiction. 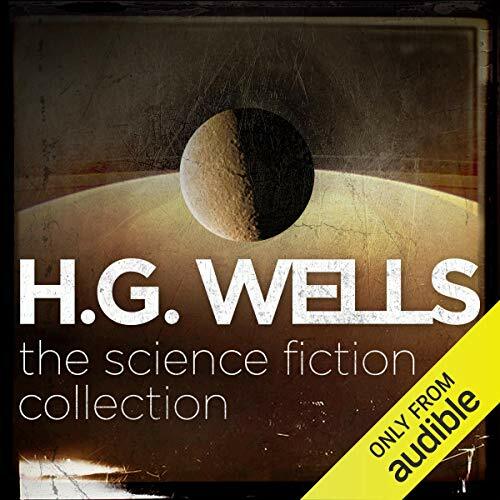 Now, listen to H. G. Wells’ five science fiction novels in one definitive collection. Introduced by film director and H. G. Wells fanboy Eli Roth, the collection features unabridged recordings of the novels performed by Hugh Bonneville, Jason Isaacs, Sophie Okonedo, David Tennant and Alexander Vlahos. When Earth is invaded by Martians in great mechanical tripods, terror ensues. They are equipped with heat rays and poisonous black gas, intent on wiping out the human race. During the destruction, one man’s story details the monstrous invasion and his struggle to find his wife in the devastation. A chance meeting between penniless businessman Mr Bedford and absentminded scientist Dr Cavor leads the two on a fantastical journey to the moon. However, they are unprepared for what they find: freezing nights, boiling days and sinister alien life. Will they be trapped forever? Transported to the year AD 802,701, the Time Traveller encounters the peaceful Eloi, a beautiful elfin race of childlike adults afraid of the dark, and with good reason. Beneath the earth’s surface live the Morlocks, apish troglodytes who torment the Eloi. When the time machine is stolen, the Time Traveller must enter Morlock territory if he ever hopes to return home. Edward Prendick, the single survivor of a shipwreck, is rescued by Montgomery in a vessel carrying a menagerie of savage animals. Taken to an uncharted island, he meets Dr Moreau - a brilliant scientist whose notorious experiments have caused him to abandon the civilised world. It soon becomes clear he has been developing these experiments - with truly horrific results. Known as ‘The Father of Science Fiction’, Herbert George Wells’ writing career spanned over 60 years. He was a writer of novels, short stories, nonfiction books and articles. As a young man, Wells won a scholarship to the Normal School of Science in London, sparking his infamous vocation as a science fiction writer. 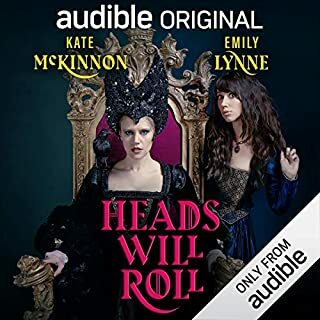 I was really looking forward to listening to this audible book. Unfortunately, the narration was of such low quality that I couldn't listen to any of the stories in full - the worst of the lot was The War Of The Worlds, which in my opinion is the best book by H. G. Wells, was completely ruined by David Tennant who seemed to believe that the narration should be performed like a speak and spell with a Scottish brogue was a good idea. I am returning this book. 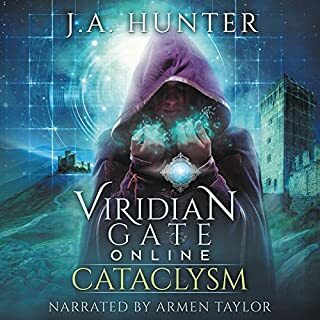 I'm very familiar with the stories but these narrators are just smashing, a really fresh experience listening to books I first read forty-odd years ago. Skip over Eli Roth's intro though, he has nothing much to say and less than that to add. Yes, it's ok. My favourite is The War of the Worlds and the final chapter or so of The Time Machine. 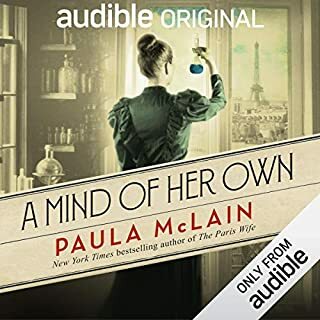 You might prefer the version available here on audible narrated by Greg Wagland - 4 novels (excluding The Invisible Man). At last, science-fiction at its best! If you love science fiction, you will of course be familiar with HG Wells who is considered by many to be the father of science fiction literature. 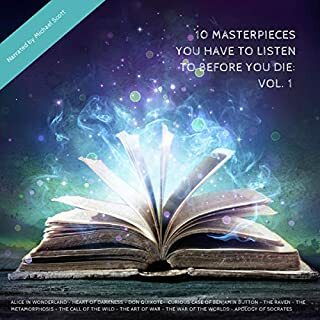 In this connection we have five of his most well-known novels and they are all chapter marked so you can navigate through the book easily find the book you want to read. Although I am familiar with all of this, I felt that the acting talent left a good deal to be desired especially with the invisible man which is read by somebody who really does not put much store by accents or indeed give any of the characters a Voice of their own, she sounds monotonous and tiresome to listen to. It’s a pity as the invisible man alongside the war of the worlds are my favourite books. A good collection if you don’t already have these elsewhere but there’s nothing new here so if you’ve bought these books previously by different narrators, save your credit. If you like Sci-fi then you're going to love this collection from the grand father of science fiction. If you haven't read these terrific stories before then you are in for a real treat. Stories that inspired many and have been brought to the silver screen in countless renditions. It is hard to pick a favourite from this collection but I think personally The Island of Dr Moreau is mine. Shipwreked, saved and taken to an isolated tropical island. Something is amiss, two fellow Englishmen live here and others, strange hideous 'people' whom resemble more than a little, animals more than they do men! What is going on here? What is that terrible screaming? Read on if you dare. * Note to post production - I have given it 4 stars only because it’s appears you forgot to edit (or just did a very, very bad job of it) ‘The invisible man’! Reading errors & repeated lines (which everyone does) were left in all the way through and It sadly ruined what would have been a perfect collection to go back to time & time again. I think this should be sorted and purchasers sent the updated version.